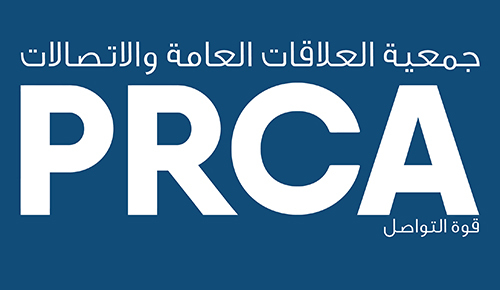 Earlier this month I delivered two courses for Dubai PR agencies through PRCA Mena – the first was on over-servicing, particularly around how to turn a loss into profit (the second was on business development techniques). While both were tailored to the issues of PR companies, the points are relevant to any service business – lawyers, accountants, architects, bankers, marketing agencies and more. What was interesting about this session was how everyone looked at the issue of over-servicing as being about confrontation. I hope the biggest achievement from the training was to turn around mindsets. Managing over-servicing is about delivering the best to clients – of course, within budget – and is about finding the win:win. If one side is losing out in the deal, actually no-one is a winner. So where are the real dangers in over-servicing and how do you tackle them? The typical ways for over-servicing to happen are: poor initial brief – so no-one is very clear about what was actually agreed; poor project management – lack of managing (or knowing) how many hours have been spent and managing time against the brief; or the client requesting additional bits of work and no-one saying ‘no’ or agreeing additional fees. The first two are basic business and project management issues, so I am not covering in detail here. I am focusing on the trickiest bit – how do you either say no to extra work or ask for more fees to cover extra work that you have done or will need to do? Saying no – how hard is it? There are particular cultural challenges to consider in the Middle East, especially ensuring there is no loss of face and that you are not asking a client to say ‘no’. But to be honest, you want to avoid these in any culture. Don’t go into a meeting thinking about it as tackling a problem and the client will be seriously unhappy. Start out with a mindset that you have done a great job (jot down your key successes – we often need to remind ourselves of these, let alone the client) and think through how the contract should be run in the future to deliver more great work. What should you focus on? What do you need to drop? You need to get your mind into a positive frame. Tip #2 What’s in it for them? Too often people go into sales and client management meetings without stopping to think about the client. What are their pressures, what do they need to be successful in their job, what will be worrying them about your work/agency? Taking time to think about ‘them’ will help you anticipate how to focus the future. Preparation will take a great deal of angst out of the meeting. You need to look honestly at what has been delivered and if you feel, actually, we haven’t really delivered value (it happens in the best of agencies for the best of reasons) then be prepared to pre-empt this and write some or all of it off. You need to clear this internally so you can go into the meeting with a strong negotiating position. Think through options as to what you can offer for the next stage – refocusing the work, amortising what has been billed across the year, dropping activities that achieve little value and so on. I was interested that in the training, everyone tackled the various scenarios and role plays in the same way. They all started talking – how good they were, we’ve done this, this is what we propose. No-one started by asking ‘how are you and how are things going? They didn’t try and tease out how the client was feeling, how they were seeing the problems or the future. So they didn’t know if their chat was hitting home or not. Questions are one of the most valuable commodities in any client relationship. Only by listening can you adapt and present your solutions to fit around their perspective and issues. If you have prepared and have options up your sleeve, you can flex all of this in the meeting. If you go into a meeting thinking of it as a confrontation, you will create the wrong atmosphere from the start, feel sick and lack confidence and nothing will feel like a solution. No confrontation in here. You are focusing on client service – delivering what really matters to the client. And if they really want all the extras, then you have to package those for additional fees. But in a helpful, understanding way. Of all these tips, what everyone on the course found most helpful was to put themselves in the head of their client, ask questions and to prepare ahead and clear the negotiation internally. All of them said it felt far more manageable and achievable to get good results. They promised to let me know when they have successes with this approach!